Some recent travel resulted in an opportunity that I’d been looking for to hit a particular prairie tailwater that I’m fond of. Like several prairie streams, it supports a lot of fish and a lot of species variety. It just happens to be six hours from home and not available to a guy's regular weekend daytrip. The fieldwork I was doing actually involved three nights away from home, and I fished each evening, always hours of travel away from where I’d been the previous evening. 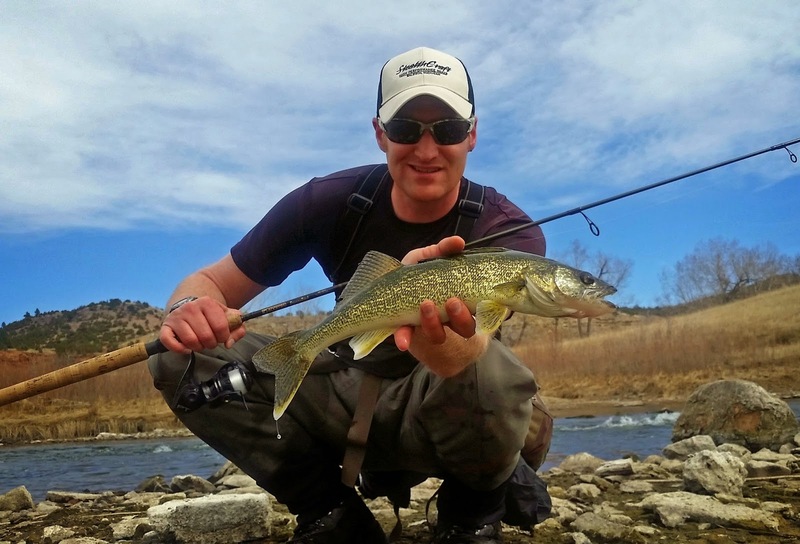 The first was on my tailwater, the next was on a fairly remote little stream I’d read holds walleye and pike among other things, and the third was the lower Yellowstone before it enters North Dakota. I had only one fish on in the little creek that was off before I got to see what it was and I landed a few goldeye on the Yellowstone. The tailwater was really it for action. But I knew it would be my best shot, and I arrived itching to jump in my waders and get started. It’s always a race against daylight on opportunistic trips like this where fishing was not the primary focus of the day. I snapped my phone to the Gorillapod, stowed it in the chest pocket of my Simms for easy photo access, jammed the cork of a second rod into the waist belt of my lumbar pack, and took off toward the water with the first rod in hand. This is a creek that holds nice trout. The population is by no means high, but they are there. And when I catch them, they always seem to be exceptionally mature. But it also holds walleye. And smallmouth bass. 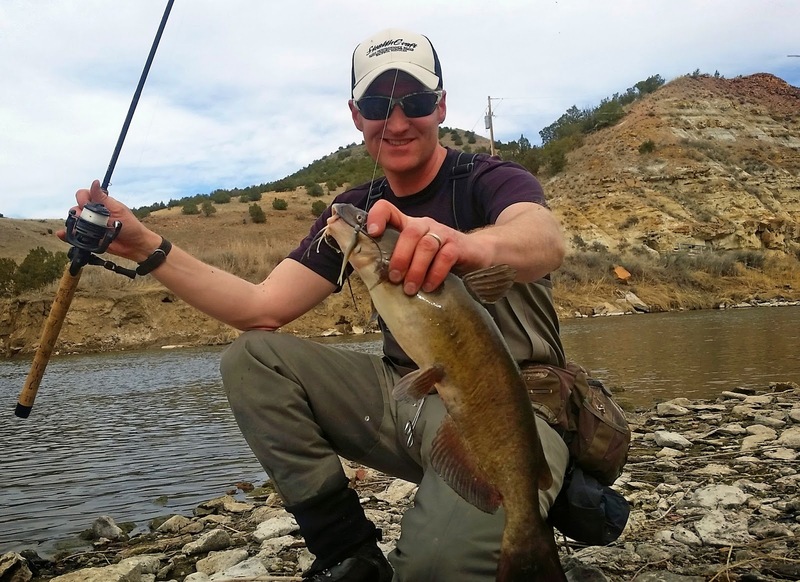 The catfish in this stream tend to be more prone to take a lure than elsewhere and it always seems that I’ll pick a couple up while jigging for trout and walleye or tossing to a likely smallmouth haunt. stretched bank to bank. Sometimes when water is like this, the good holes seem stacked with fish. On this day they just seemed stacked with carp. I was a little discouraged, and honestly, if this had been my first time on this river, it likely would not have ranked among my mental list of favorites. I passed over holes where I’d done well in the past and didn’t see a fish. I was speculating that the low flow had sent them on a downstream journey. The hiking was easy with no flow to fight and I was covering lots more water than I had anticipated. In a likely looking bend with a few boulders scattered about I drew a follow from a smallmouth bass. He probably would have gone a pound and a half. He followed the next cast too, so I let him alone and went on. A few minutes later I swung back by his boulder and gave him a couple other things to look at. I drew one more follow, but not the slightest hint of commitment. Honestly though, mid-April in Montana is a tad early for smallies. In the smallmouth’s native range, or at least the portions I’m familiar with, they’d be on fire by now. I wish I could have connected with it, just to add it to the list for the day. After popping out on the road again at my next legal access point and hiking back to the vehicle, I decided to mosey back upstream to hit the places where I’d actually had some action. Daylight was fading and I didn’t have time to explore new reaches. I went around a gorgeous bend where the sunset was reflected just right on the water for seeing the little dimples of some feeding trout even though the river was well below the road and in shadow. The stream touched the road’s right-of-way just ahead, so I pulled right in and started digging in the back seat for new gear. I hadn’t seen a trout all evening and this little widow of opportunity was too intriguing to pass up. I stood on the bank blindly stringing up a fly rod as I stared at the water to map out the “where and what” as quick as I could. There was one distinct pod of fish feeding on a slight eddy created by a piece of exposed bedrock along with a few others scattered around. The exciting part was that several appeared large. One turned sideways as it sucked in something subsurface as if to prove my hunch. First cast drifted through untouched. Second cast brought a big wide snout out of the water followed by a lazy dorsal as it rolled back in. The water boiled with a girthy fish when I picked up the line for the hookset. He quickly took my loose line and was on my reel as he shot across the hole and shattered the pink reflection of the sky. At the first sign of me being somewhat in control I pulled out the tripod and set it on a decent looking rock. I brought the fish alongside, lifted him for shot, popped out the fly with a push of my thumb, and back it went. What a fish to find feeding on the surface! Right then I noticed that the feeding hadn’t stopped. Despite the low water and the thrashing the fish had just given the hole as he’d done his best imitation of a tarpon, the feeding resumed as if nothing had happened. It was a little more spread out now, but that may have simply been the onset of darkness. I picked out another one and laid out a cast to drift into its lane. I spooked it though, by lining a fish above it I wasn’t aware of and both fish moved off. I few tries later and I was hooked up with number two. He took at the extent of my cast and was instantly on the reel. But the drag wasn’t loose enough for the kind of surge he made and the tippet popped before I could do anything about it. Number three came off in a jump and number four straightened out the hook – or did number three straighten me out and number four just slid off as a result…. who knows. I failed to check to the fly after number three came off. But that was it. The feeding abruptly ended and as darkness set in. That didn’t keep me from trying a few more things, but no more action. Still, that had been some of the best dry fly action I’d had in a while, and certainly the longest string of big fish I’d tied into on top in a long time. 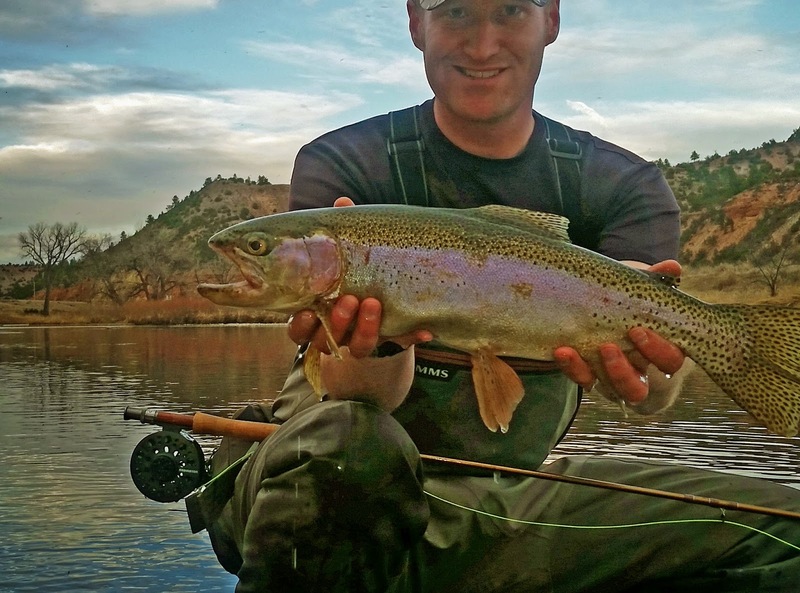 It had been more like hitting a sweet run in September when big browns are slurping hoppers.